Professor James Dunkerley at Queen Mary's, University of London, says that ‘Latin America’ is a term that only dates from the 1830s. 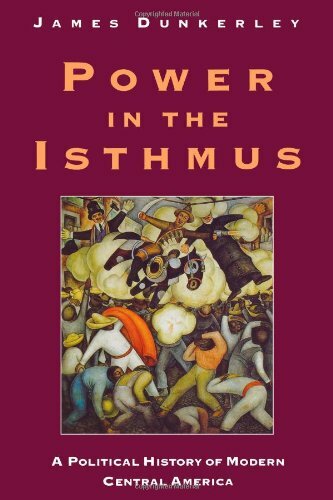 He chooses five books that illuminate the cultural and political history of the continent. 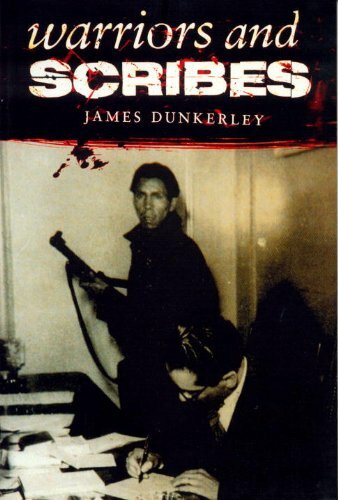 James Dunkerley is a professor at Queen Mary University, London. 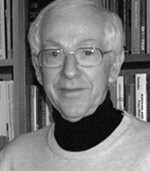 From 1998 to 2008 he served, on secondment, as Director of the University of London’s Institute of Latin American Studies. An editor of the Journal of Latin American Studies from 1998 to 2006, he continues as a member of the JLAS editorial board. Over the last 20 years he has been editor of 40 titles in two important series: Verso’s Critical Studies in Latin American and Iberian Cultures (with John King) and Palgrave’s Studies of the Americas. Before we talk about your five choices can you tell me what got you interested in Latin America and its history? 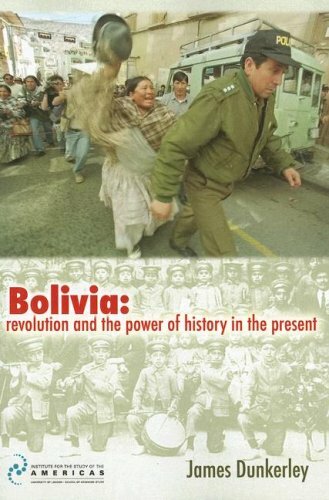 Two people – Che Guevara and my history professor at York, Gwyn Williams, who taught a module on guerrillas in the early 1970s. It was a fusion of political inspiration and academic interest. Your first book explores the similarities between the Latin and Anglo-American colonisation in Jorge Cañizares-Esguerra’s book. 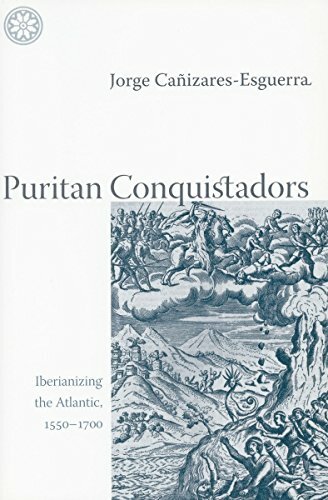 This is Puritan Conquistadors: Iberianizing the Atlantic. I think it is a very enterprising history because it challenges the thesis of American exceptionalism – the idea that the Puritan tradition is so singular that it determines North America in contrast to Catholic and Spanish Latin America. What Cañizares does is look very closely at particularly religious texts from the time – which of course are now very much in the news again with all the discussion about Hitchens and Dawkins and so on. And he finds a greater convergence than mainstream belief normally recognises. What parallels does he find between the two? He is deconstructing the languages used by the divines of both Christian traditions and he finds some remarkable similarities in terms of the signifiers. One of these, for example, is the concept of wilderness, which of course is biblical but can also relate to how one approaches nature, settlement and the native populations that don’t cultivate. 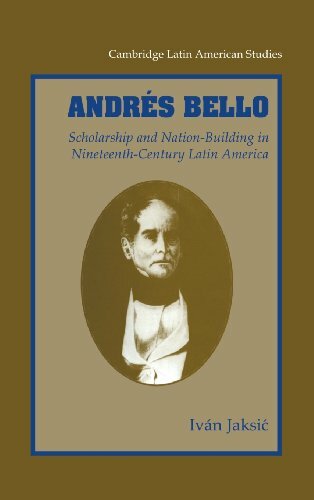 Your next book is Andrès Bello: Scholarship and Nation-Building in 19th-Century Latin America by Ivan Jaksic. Andres Bello is one of Latin America’s great intellectuals. Yes, Bello was born in Caracas in the 1780s. He was Simon Bolivar’s tutor. He then came to London in 1810 as part of a diplomatic mission to try and persuade the British to support the Venezuelans in their recent struggle with Spain for independence or at least self-government. He then stayed for nearly 20 years in London, living in Euston in conditions of some penury, working with James Mill and Jeremy Bentham. After that he went to Chile where he lived the rest of his life. He died in 1865. While he was in Chile he effectively ran the Foreign Ministry single-handed and established the University of Chile. So he is generally considered the intellectual founding father of the Chilean Republic. This excellent biography shows – not unlike the Cañizares volume – how ideas were shared to an appreciable degree across North and South Atlantic worlds. Bello’s inaugural speech in Santiago, for instance, is very similar in approach to that of Cardinal Newman’s ‘Idea of a University’. Latin America is this powerhouse in many ways and yet it never seems to have achieved the same status as some other continents. Why do you think that is? I think that Latin America is a sort of ‘in between’ continent in that it has always been partially European since 1492. Much of the present profile was built from white European settlers. So it still seems to be something of a shadow of Spain and Portugal particularly, with the suppressed indigenous Aztec and Inca Empires continuing to play a subordinate part in the profile. The independence struggle was really led by European settlers, even if it was largely won by subaltern social forces. Secondly, independent Latin America did not display a consistently successful pattern of economic development, in contrast, say, to the USA and Canada. There are a number of different explanations for that. One of which is institutional. The colonial institutions left by the Spanish and the Portuguese did not favour individual entrepreneurship or initiative. They preferred more collective forms of economic organisation, which often barred real growth and capitalist development. But there are times, as is happening now, when the Latin American performs really rather well. The other argument is that, often for reasons of geography and natural resources, Latin America has relied on primary exports, which means that it has become prey to the lottery of primary export prices. And that might be true even today because Latin America’s growth rates today are very much dependent on the Chinese markets. 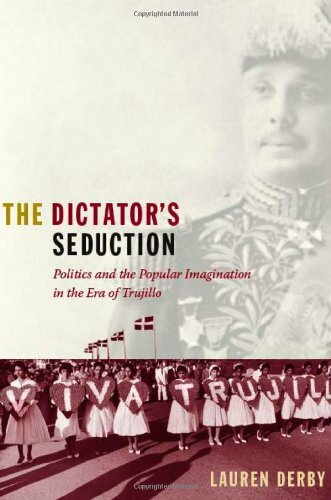 Your next book takes us to the Dominican Republic with The Dictator’s Seduction: Politics and the Popular Imagination in the Era of Trujillo by Lauren Derby. This is a wonderful cultural history that digs beneath the surface of the public record. The Dominican Republic is one of the less well known countries and, of course, it is overshadowed very often as the second part of Hispaniola by Haiti, which has lived a truly tragic life, even today. On the other hand, the Dominican Republic has always attracted fiction writers. People like Miguel Angel Asturias, Garcia Marquez and, perhaps best known, this year’s Nobel Laureate Mario Vargas Llosa, whose Feast of the Goat is exactly about the same subject. This is the dictatorship of Generalissimo Trujillo. What Lauren Derby does is not the obvious thing of tracing the viciousness, the repression and the one-sidedness of a 30-year dictatorship. What she does much more is a cultural history of what she calls ‘vernacular politics’. She looks at how that regime used modes of civil society to gain compliance. And sometimes it is a compliance which looks like consensus but is in fact coerced. She looks at how Trujillo used custom and practice at the street level, like gaining intelligence through gossip. She shows how the State sought to make people somewhat complicit in their own oppression. The narrative and interpretation are very interesting, and although it is a prizewinning book I think it should be more influential. It looks through cultural evidence at the role of bystanders. And Latin America being a region where there has been a lot of political violence and much repression, it is very difficult to imagine those sorts of political regimes existing without many bystanders among ordinary folk. Your next choice is David Brading’s The First America: The Spanish Monarchy, Creole Patriots and the Liberal state, 1492-1867. 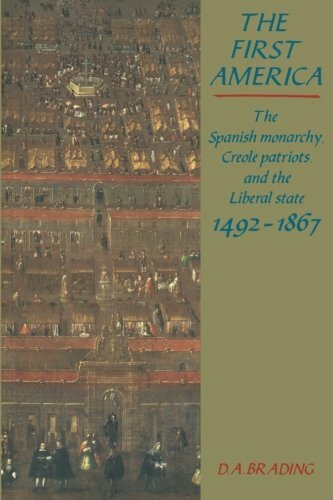 This is a much more traditional book by Britain’s leading intellectual historian of Spanish America – David Brading, who retired from Cambridge three or four years ago. It is a lifetime’s work. It is a pretty much comprehensive study of political thought, cultural thought and particularly theological thought in the Americas, with a concentration on Mexico and Peru. Brading is very unusual in that he has worked on both of the old indigenous Empire regions. He moves though the entire colonial period and indeed into the early Republican era: 1492-1867. If there was one single book about all the ideas of Spanish America throughout very nearly 400 years, this would be the one that I would recommend. What kind of ideas is he looking at? What he looks at essentially is how both the colonial powers – and in this case we are talking almost exclusively of Spain rather than Portugal – and the indigenous societies sought to find, and how they mostly achieved, some form of hybrid compromise. Very often that involved subordinate conflicts and disputations. But at the same time, it involved use of the law by what we would call indigenous or Indian communities and bending of theological doctrine on the part of the Church. And there was certainly quite a high degree of pragmatism by the monarchy itself. So it really brings out the complexities of ruling a very large space of the world across an ocean. An ocean which no Spanish monarch ever crossed to visit in those 400 years and how in a way what we call now ‘Latin America’, which is a term that only dates from the 1830s, was to be part of a wider Hispanic global community. How would you describe Spain’s relationship with Latin America now? I think it is complex and contradictory and it has come under some pressure since Spain joined the European Union and then took on the role of primary bridge, if you like, after 1986 towards the Americas. I think particularly as the larger states of the Americas such as Brazil and Mexico emerge now as countries either with their own substantial resources or with tight economic linkages to the USA they don’t feel they need that bridge or interlocutor. After all, Mexico owns the largest cement manufacturer in the United Kingdom. I think that post-imperial role has become more complex as time has gone on. And certainly among the Latin Americans that I talk to there is this feeling that Spain doesn’t really deserve that role as bridge and patron given their standing in the EU. Yes, Spain hasn’t been a democracy long enough or had a large and successful economy to justify many of the attitudes that it strikes! 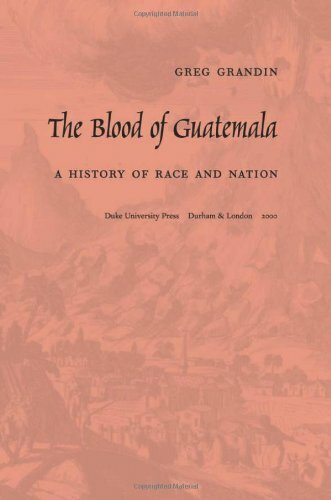 Let’s finish with The Blood of Guatemala: A History of Race and Nation by Greg Grandin. Guatemala is often overlooked. It is part of the Aztec-Maya nexus and the site of a very bitter civil war from the 1970s to the 1990s. It has this very significant indigenous population which is split into different peoples. This is a book which is both quite radical in its vision and iconoclastic. It begins with the simplistic idea that the civil war, and indeed the period beforehand, which was marked by a high degree of US intervention, was simply the result of white settlers on indigenous people, who were pretty much of a muchness in that they didn’t have any internal divisions. They didn’t have any social divisions or hierarchy. Grandin is studying the community of Quetzaltenango and the indigenous Kekchi people. The story that he tells is told in quite technical terms, in that he goes back to the censuses and looks to see how caste and gender come in. He explores how the internal economy was really quite differentiated. And at the same time he has elements in his book similar to those of Lauren Derby on Trujillo. He relies a lot on photographs. The book is well illustrated, and he takes a general narrative over two and a half centuries as well as taking freeze frames. He looks, for example, at cholera epidemics of certain times when you have got far greater documentary evidence than for most ordinary periods. He develops a picture which is very nuanced and shows also, as Derby does, that you don’t need to shoot people down or drive them with whips in order to make them do things they don’t want to do. And very often you don’t need to do that across racial lines. You can get people from a different racial group to do it for you. 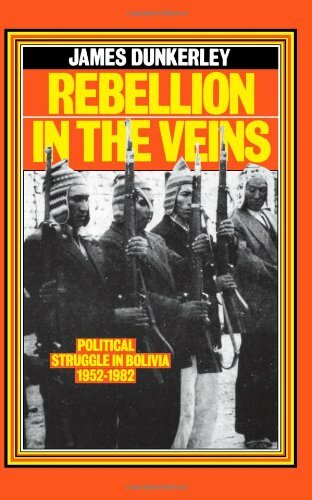 A lot of people steer clear of Guatemala because it is both so stark and so complicated, but if I were to recommend one book it would be this one because Grandin knows the country exceptionally well, writes very clearly and he understands he is writing something that is a little counter-intuitive – in that much power was socially determined outside military conflict – so he has to take time to take the reader with him and he does that admirably well.